These Coilovers are really something special! Developed for professional use in Motorsport, VRS was able to create adjustable suspension that can be easily tuned for any track and weather conditions. 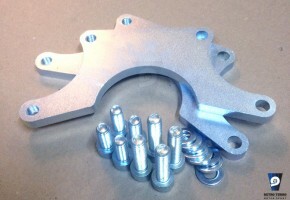 This product is fully P&P to your Volvo 240 and 260 Series and does not require any sort of modification to your car. It is a set of two for a rear axle only. • Coilovers are CNC’d from high grade Stainless Steel and anodized PA6 (EN AW-2017A) aluminum. 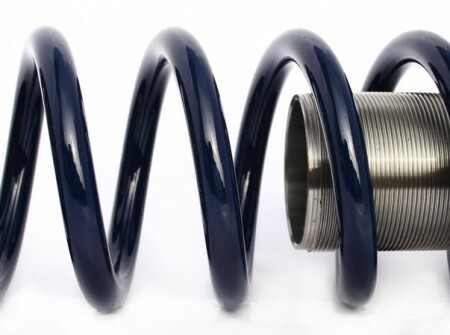 Coilovers do not rust and do not require any maintenance whatsoever. • Coilovers work with every shock available on the market. • Helper springs available at extra cost. • Coils rates available from 225lbs to 650lbs. Springs used as standard are 325lbs GAZ. Other ratios available in 25 lbs intervals. Optional extra are Eibach coils or HYPERCO. * Postage to Norway by courier only, set as above works out 35GBP in shipping fees by insured and tracked courier. Price may go up for northern and rural areas. - Ask us about lead times before dispatch through contact form. SKU: coilowersREAR200GAZcoil. Category: Coilovers, Volvo 240 Series Parts.